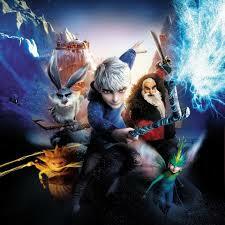 Despite all that it does right, Rise of the Guardians is hobbled by a sense of not being quite big enough. Despite all that it does right, Rise of the Guardians is hobbled by a sense of not being quite big enough. This comes partially from the oddly limited way in which the Guardians responded to the boogeyman. They showed no degree of strategy and – energetically but, on consideration, quite unjustifiably – ran around plugging their fingers into leaks where they should have been thinking how to dam the river. The story’s conception of the Guardians, like its use of them, was sometimes limited, and this also fostered a hazy sense of smallness. Most of what the makers did with the Easter Bunny and Santa Claus and so forth was fun, and the way they brought these childhood legends together was coherent and interesting. But it wasn’t grand. The story had one piece of really excellent mythos; what it did with the Man on the Moon was mythical, worthy of a fairytale. The makers, however, failed to expand this piece of mythos. The movie as a whole would have been more effective if some of the generic “belief” had been replaced with the mystery and purpose of the Man on the Moon. Have you read any of the books the movie was based on? I think the novels had a lot of the backstory and depth that the movie was missing…it was a good movie, but not really an adaption except in a loose sense. I haven’t. It would be good to check into, though. I gather you liked the books more? Generally, yes, but that was at least partially hype-aversion due to the movie. I have requested the books from the library and will update once I’ve read them.